Bob Hoffman strives to be superlative. 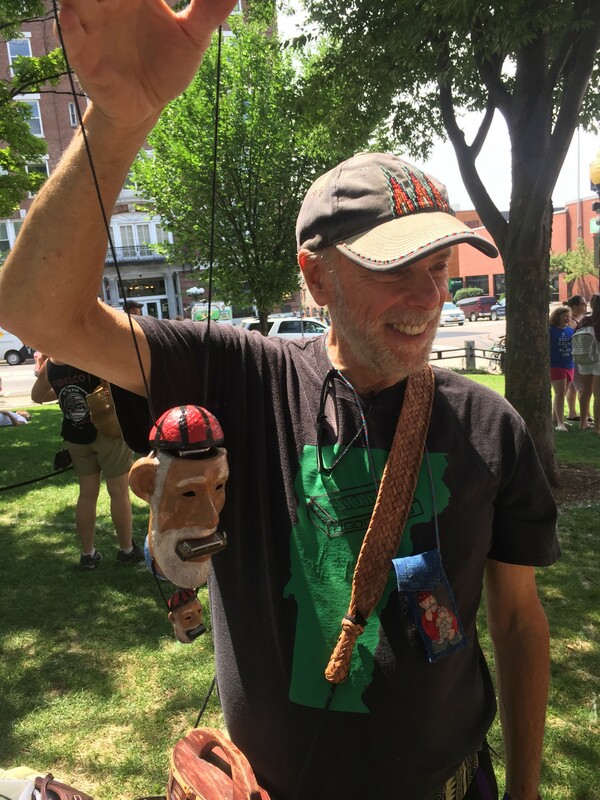 At a recent Burlington Farmers Market, the 71-year-old nimbly entertained shoppers and passersby with his extraordinary collection of harmonica cases — the world's largest, he claims. 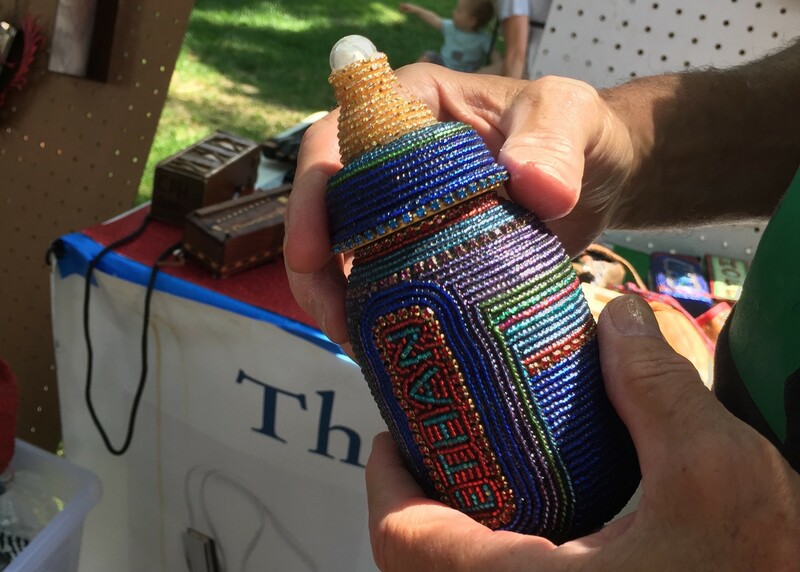 At roughly 500 cases, the family includes several "world's only" items, ostrich egg and kaleidoscope harmonica holders among them. Hoffman, or "Hoff" as he is more commonly known, took up playing the harmonica at age 56. 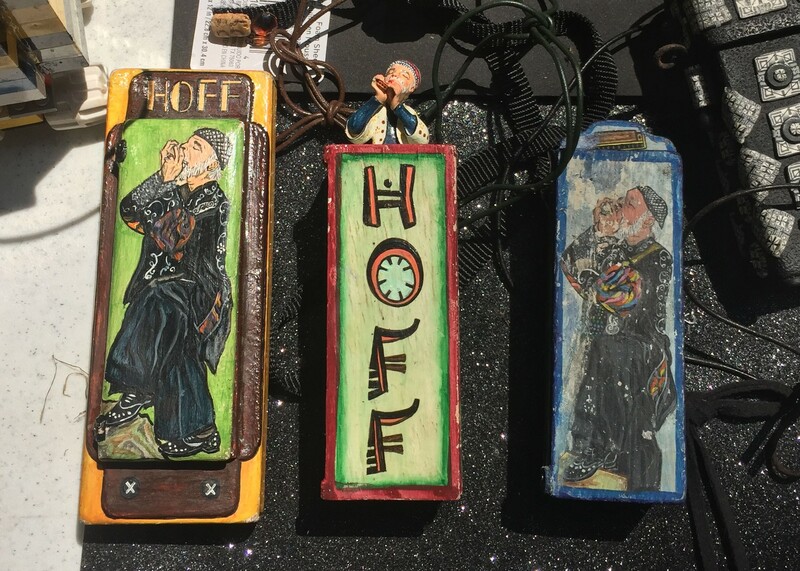 Several years later, in 2005, he commissioned his very first custom harmonica case from the late Kathy Wegman, an artisan he met at the Smithsonian Craft Show. Done in delicate beadwork, the case features "HOFF" on one side — a vanity detail that became a critical rule for artists contributing to the collection. 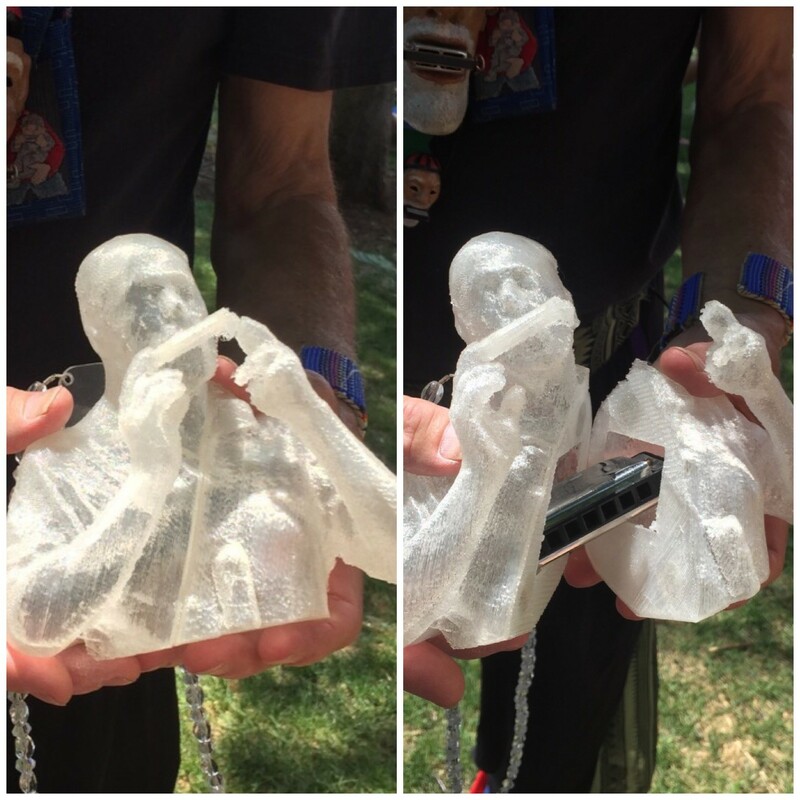 Among the other rules are that the case must fit a standard-size harmonica and must have a neck strap. At the market, Hoffman freely distributed design guidelines to folks interested in making him a case. Maker and Generator member Jake Blend recently made Hoffman a modular wooden hand case, and is at work fine-tuning his design. Budding South Burlington artist Isla Siddle, 8, received what was likely her first commission opportunity. 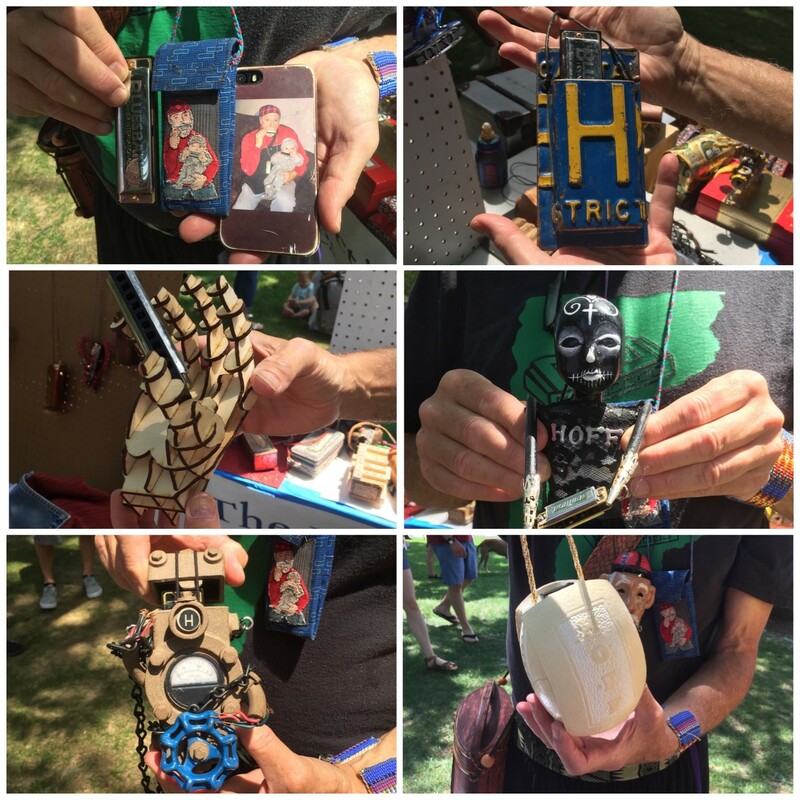 Hoffman already has an abundance of cases made by Vermont-based artists. Among them are Tito Bern, John Brickels (who recently left the state), Zelde Grimm, Christy Mitchell, Aaron Stein, Beth Robinson, Toni Lee Sangastiano, Mark Eliot Schwabe, Kara Torres and Terry Zigmund. Parts of the collection have been exhibited at Vermont galleries, including SEABA Center and North End Studios, and during the South End Art Hop. 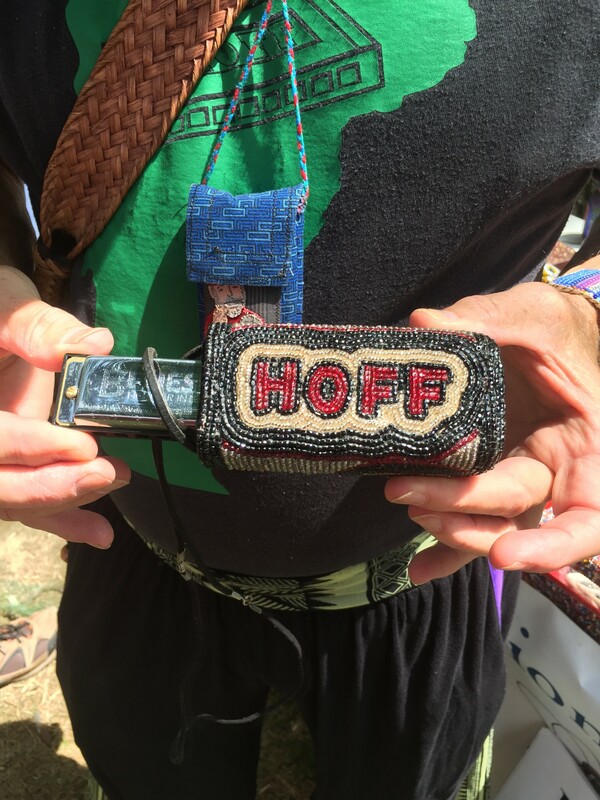 The Vermont section of Hoff's cases is featured in his self-published volume Hoff Harmonica Case Collection: Made in Vermont. Based in Washington, D.C., Hoffman has spent his summers in Burlington for more than a decade. In 2014, he retired from his position as AARP regional director. Nowadays, he said, he is more engaged in publicity and the administrative aspects of managing his collection, as opposed to commissioning new works. Decked out in Superman socks and serenading passersby with a slow, sultry mouth-harp rendition of "You Are My Sunshine," Hoffman made clear he has plenty of life in him yet. He is not, however, without an end-of-life plan for his singular collection. Twenty-five to 30 of the cases, he said, will be given to family and friends. Prodigious Vermont collector Mark Waskow will acquire approximately a third. Hoffman hopes to find homes for the remainder in Washington, D.C., and/or New York institutions, with which he is currently in conversations. "I was struck by the fact that [Hoff] does this purely because he loves it and wants to do it," commented Brooke Moen, a Burlington acupuncturist who's known Hoffman for several years. "It's infused with passion … he's only here for two months [every year], but he adds so much to the community."